For all the lavish praise heaped upon the IIT-IIM network, even the most ardent alumnus would struggle to counter a common criticism: The institutes simply don’t create enough entrepreneurs. While the best business and technology schools in North America and Europe have become hotbeds of innovation and start-ups — often incubating firms themselves — our schools, to this day, are ranked and picked for their ability to place as many graduates in as many companies as possible. It doesn’t take an MBA to figure out why this is so. Social pressures, risk aversion and a largely entrepreneur-unfriendly policy environment did enough to herd most graduates — the brilliant and the mediocre alike — into high-paying jobs with domestic and foreign corporations. Entrepreneurship then became a larger-than-life concept — something that many youngsters talked about all night in their dorm rooms, but little more. 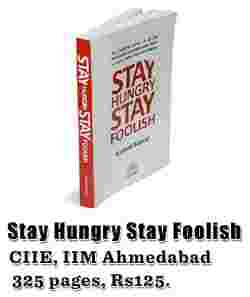 Rashmi Bansal’s Stay Hungry Stay Foolish may not do enough to buck that trend but it will make those midnight brainstorming sessions in dorm rooms more realistic. Bansal, who I have had the chance to work with personally, is an alumnus of IIM Ahmedabad herself and a successful media entrepreneur. For years, she has helped budding entrepreneurs use her as a sounding board for ideas, a human social networking tool and a source of support. Stay Hungry Stay Foolish, then, can be expected to present its case frankly, with none of the jargon and tedious boilerplate that makes many entrepreneurship books sound like self-help tomes. 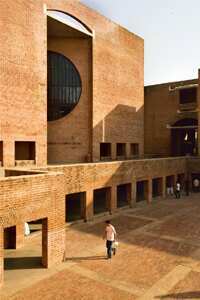 Bansal does this by interviewing 25 alumni of IIM Ahmedabad — the project was initially planned as a book for internal circulation at the institute — and getting them to reveal their entrepreneurship stories with transparency. The personalities in the book have been chosen in order to provide a wide cross-section of multi-sector entrepreneurs in various stages of their business cycle. So the book features a water tank manufacturer, a tiffin service owner, a microfinancier and the youngest of the lot — 2004-batcher Vardan Kabra, who runs a school. But more than the variety, in sector or maturity of businesses, what makes the book good reading is the way Bansal has managed to get these entrepreneurs to let their guard down. Most of the interviews expose them not as successful millionaires but as individuals who have had to struggle a lot in the course of their journeys. When Sanjeev Bikhchandani of Naukri.com describes unabashedly how he lived off his wife’s salary in the early days, both the reader and Bansal are equally touched: “The thing with entrepreneurship is you can’t afford to have a big ego… You don’t care what the neighbours and relatives have to say about who wears the pants in the house," she comments. And this gritty, earthy feel that pervades the book is its strength. These profiles are not highfalutin tales of strategy, market share and brainwaves. Instead, they are about the little things — electricity bills, borrowing money, being unable to pay wages and even fatherhood. The parts in the book that both shine and make you shudder are when Bansal augments her subjects’ thoughts with her own. That lively chatter in her head can both illuminate and get cheesy in equal measure: “When life deals you a rough hand...it’s the trust you’ve deposited in the Goodwill Bank which you will draw on." Argh. Also the below-par production quality is a pity for a book of this potential. But then, that is perhaps a good thing. At its price, Stay Hungry Stay Foolish is justified investment, perhaps even the first one, in an entrepreneur’s business plan. Why learn from your own mistakes, or even commit them, when you can learn from those of 25 others?